College and university students have enough on their plates with their studies, but oral health is just as important. Having a proper oral health regimen that is a daily routine is critical to everyone’s health, but during schooling, it can be pushed to the side to deal with getting a proper education. College and university students have a wide variety of options where properly caring for their oral health, finding a dentist, getting dental health insurance, and much more are concerned. All of these points are just as important as graduating college. Now that your mom or dad won’t always be there to remind you to brush and floss your teeth, you’re going to have to figure out how to practice proper oral hygiene while away at college. College and university students should be brushing their teeth at least twice a day for approximately 2 minutes, splitting 30 seconds for each area of their mouth. Flossing should be done at least once per day with approximately 45 cm of floss. Using mouthwash is something that is overlooked by almost everyone, but it’s very important in a student’s oral health regimen. It will get the areas that you have missed or haven’t scrubbed all that well. Brushing your tongue is also very important, as well. 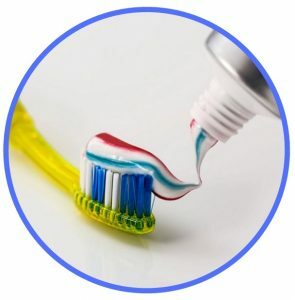 Use a very small amount of toothpaste on either side of your toothbrush, preferably the back if it has a tongue scrubber, and brush your tongue using circular motions. A very large part of a proper oral health routine for students is visiting their dentist on a regular basis for cleanings and checkups. Although, if you don’t have a dentist, or do not know how to find one close enough to you that can adhere to your busy schedule, there are ways to do so. If your teeth feel “fuzzy”, your breath clears a room, and your gums are sore, bleed, and are not of a pinkish color, it’s time to see a dentist. Finding a dentist in college who is close enough to you can be a challenge, but there are plenty of resources available to you for discounts, low to no cost services, you name it. 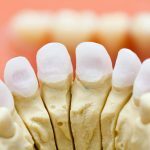 There are a number of community colleges offering specific services for students who are in need of basic to extensive dental care across the United States. The American Dental Association (ADA) has a thorough map outlining all of the discount, low to no cost dental clinics within your area that is a great help, as well. The Commission on Dental Accreditation (CODA) has a full directory of dental school clinics who offer basic to extensive work for anyone, not just college students. 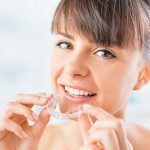 These services are offered because the dentists in training need real cases to work on, so you may just be in luck if there is one in your area. If your college has a dental school, or one relatively close to your campus, you may not even have to go that far to get work done. The Health Resources & Services Administration (HRSA) are also another resource for college students that could definitely help. 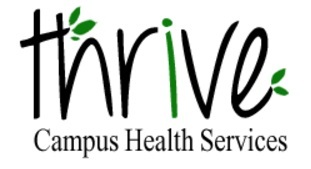 They are the primary resource of the nation for uninsured citizens who need dental and medical care immediately at the risk of developing other health issues, which is a resource that could definitely help college students in dire need. Doing a basic Google search for dentists in your area is also an option. You can get in touch with local practices and ask them about what services or accommodations they may offer for students in college and university. You may be surprised or come up short, but it’s definitely worth a try. Dental insurance can also lead you to the right dentist for your needs. Most assume, however, that dental insurance is going to be too expensive and that it’s not worth looking into, but you couldn’t be more wrong. There are actually a handful of dental insurance plans for students that anyone in college or university can take full advantage of! Because students in college or university typically don’t have hundreds of dollars to spend on dental work, insurance providers have crafted dental insurance for students in college and university to ensure that coverage is possible. If you’re looking for a dental insurance plan that is completely tailored to you, Healthmatchup is a great place to start. They run through multiple insurance providers, including BlueCross BlueShield and Cigna, for example, based on your personal information and requirements to find the right plan and cost for you. Cigna offers multiple plans for both dental and health insurance for students and young adults in general. Their plans help you find a dentist, get a discount for certain services, use the mobile app for better understanding and maintenance, 24/7 support, and you even get checkups and other related services for free. With Aetna Student Health coverage, you get discounts on doctors, specialists, hospitals, and even dental depending on the school you are enrolled in. Thankfully, Aetna has worked with around 200 universities and colleges to ensure that coverage is as wide as possible. If you are enrolled in a certain school, you can get life insurance, dental, and even vision. If you are sick or unable to finish school, following certain instances, your tuition may even be fully refunded, so it’s definitely worth checking out if you need dental insurance and other coverage as a student. HealthCare.gov has some great options where Marketplace plans from the Affordable Care Act comes into play. For students that are living either on or off campus, but are solely independent and not living with their parents, there are some tailored options available to you. If you are dependent on your parents, however, but still need a dental insurance plan that is individual to you, you still have some options for dental insurance for students available to you. Either way, HealthCare.gov may have the option for dental insurance that you are looking for! eHealth Insurance has dental insurance plans for students from over 270 different providers. They offer over 800 plans to choose from that they will help you to go through and select the best one that suits you perfectly. Their plans include PPO, HMO Prepaid plans, Fee-for-Service Indemnity plans, and even discount plans with no limitations on the network. eHealth Insurance is the next best thing where mass insurance plan directories are concerned, and have one of the largest networks where finding a plan is concerned. Not only do they have plans for college and university students, but they also have some great options for young adults who have recently graduated, as well. This is great to have for future planning and to ensure that, even when you graduate, you will still have some coverage left while you figure everything else out. AIP offers tailored dental insurance for students based on where you are currently enrolled in school. They also offer both dental and vision insurance in packages in necessary, which is a big help for students that need both. Even if you’re not enrolled, the University of North Carolina at Chapel Hill has a directory on their website for dental insurance across the nation. It includes some of the larger dental insurance providers, other dental options for students, and a number of other helpful resources. Now that you know what is available to you, how you can keep your oral health in check, and other information that you as a student can make use of, you have the necessary knowledge in deciding dental decisions for yourself. College and university can be scary on their own, but paired with dental problems, it can be a downright nightmare. Thankfully, however, there are ways you can help keep your oral hygiene in good standing to ensure a happy school year. This is a directory from the University of North Carolina at Chapel Hill that can help students enrolled in any college or university across the United States. This is a helpful guide that outlines what your oral hygiene routine should consist of and additional tips on keeping a healthy mouth. eHealth Insurance has a mass directory of over 800 plans from more than 270 insurance providers across the nation, which exists for the purpose of aiding students in their search for proper dental health insurance.